Install an ICC color profile on Mac OS X | Christoph Bartneck, Ph.D. 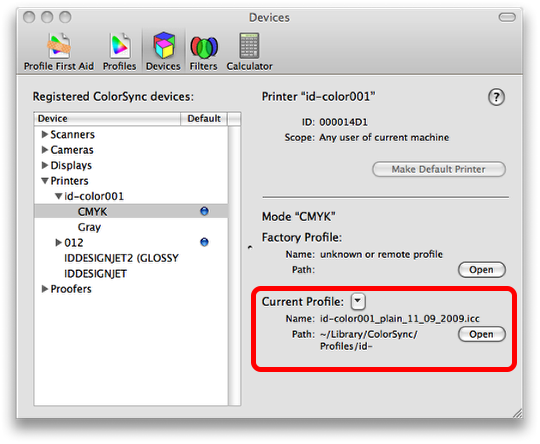 This tutorial will show you how to install an ICC color profile on Mac OS X 10.5 (Leopard). You need to place the ICC color profile in the Library/ColorSync/Profiiles in your home directory. If you want the profile to be available for all users of the computer then you need to select the Library directory directly on your hard disk. 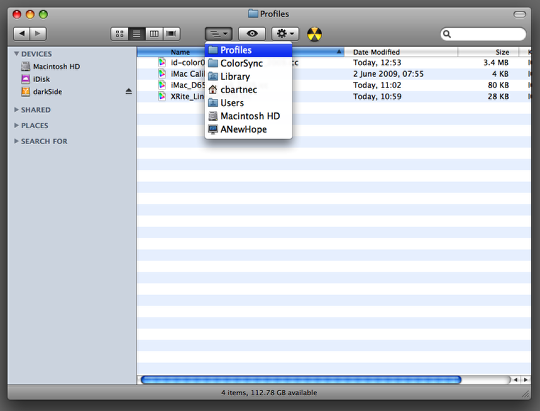 Open the ColorSync Utility (Applications > Utilities) and select the devices tab (1). Select the printer to which you want to associate a color profile to (2) and click on the drop down menu next to “Current Profile” (3). The name of the color profile should now appear in the “Current Profile” section. How Do I get my two printers to show under “Devices” I’m on a Mac running Leopard. The printers need to be switched on and the drivers need to be installed. Can you already print (without choosing a particular icc profile)? This article seems good, but the information could be expanded on and updated for 10.6+, as it is pretty dated now. I know this article is old but you saved my sanity when all the “help” from the printing supply company drove me nuts.